Charter a private jet and fly to Prague, the capital city of the Czech Republic and one of the most important political, cultural, and economic cities in central Europe. Hiring a private jet into either (LKPR, PRG) Prague Airport or (LKVO, VOD) Vodochody Airport is the best way to get to and from Central Bohemia, and our private jet charter team is here to offer the highest standards in executive and leisure travel. Air Charter Advisors offers on-demand private jet charter service to/from Prague, and with access to thousands of private aircraft around the world, we’re confident we can arrange the right aircraft for your trip, whether you’re flying internationally or domestically. Our private jet charter company is Wyvern-certified, and all of the aircraft we use for flights to Prague and the rest of Europe are operated by FAR Part 135 (or foreign equivalent) air carriers. Our distinguished list of clients includes royal family members, heads of state and C-level executives from major corporations; we also fly celebrities, personal assistants and leisure travelers from around the world. Enjoy the peace of mind you get from working with a jet charter broker you can trust, and let our Jet Charter Prague team become your local and global aviation solution for luxury air travel, aircraft acquisition and private jet management. Call or request a quote for your charter flight to Prague, Czech Republic. Our team is here to help you with all of your private aviation needs, from booking your private aircraft and creating your flight itinerary to arranging gourmet in-flight catering, luxury ground transportation or fulfilling any other request you might have – consider Prague Jet Charter your one-stop shop for all things private aviation in the Czech Republic. Prague, known throughout the world for its imposing 9th century castle, spired cathedrals, medieval bridges, cobbled lanes and Gothic architecture, is one of the most popular destinations in Europe for private charter flights. Heralded by many as Europe’s most charming and beautiful medieval city, the enchanting city of Prague (Praha) has graced the Vltava River with its reflection for over ten centuries now. Amazingly, the city was spared by the devastating damage of World War II, and its medieval city center, one of the most beautiful in Europe, is still very much in tact. The historic city center of Prague has been included in UNESCO’s list of World Heritage Sites since 1992, and its castle is one of its most prized landmarks, and a must-see while in the city. Prague’s historical importance can not be understated. Settled late in the 9th-century around the Vltava River, it would go on to become the home to the Kings of Bohemia, some of whom would become emperors of the Holy Roman Empire. The city later thrived under Charles IV in the 14th century, a period in which the New Town was built; many of the city’s most important landmarks and attractions date back to this time. Fast forward to 1989, when the Velvet Revolution took place in what was then known as Czechoslovakia; after freeing the Czech Republic from their ties to communism, the city of Prague was bestowed upon the world as a European gem rivaling the likes of Amsterdam and Rome. The Czechs are known to produce some of the finest brews in the world, and regardless of whether or not you enjoy a good beer, it would be a shame to visit Prague without trying one from the birthplace of modern brewing. Of course, history shows us that beer was derived from barely and other grains as far back as 5,000 years ago, with the oldest known recipe found on a nearly 4,000 year old Sumerian poem. However, it wasn’t until the 13th century that Bohemian brewers perfected the art of using hops, which increased both the quality and production of beer. The practice would become so common, it had spread to Holland, Flanders and London by the 15th century. Beer itself was redefined in the process, where beer was now brewed with hops, and without hops it would be referred to as an ale. Bohemia’s brewing legacy doesn’t end there. In the late 19th century, brewers improved the clarity and shelf-life of their beers by using bottom-fermenting yeasts and storing them in caves. In 1842, Pilsner Urquell, the world’s first-ever blond lager, was brewed in the town Pilsen (Plzen), located to the southwest of Prague. Combining Pilsen’s incredibly soft water, quality hops and new Bavarian brewing techniques, the Pilsner beer would go on to become a hit throughout Europe, and the original Pilsner Urquell is still produced in Pilsen to this day. 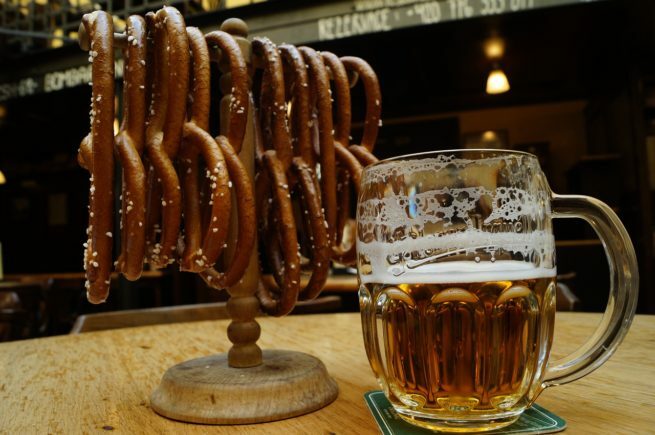 After your private flight arrives, you won’t have much trouble finding a pub or a brewery in Prague. Many of the local microbreweries and regional beers have taken interest in the tradition, and the variety of flavors available on tap continues to reach new heights. Pivovar Únětice and Sousedský pivovar Bašta are two of the most popular breweries in town, while Vinohradský pivovar and Pivovar U Tří Růží are the best restaurants to check out if you’re looking for an authentic, local brew. Luxury travelers may opt for the hot springs found at the immaculate resort spas of Marianske Lazne, and sports lovers might be heading to tournaments in Ostrava, but Prague offers the most authentic Bohemian experience you will find. Ranked 6th overall on TripAdvisor’s list of the world’s best destinations in 2016, Prague is the focal point of tourism in the Czech Republic, receiving over 6 million visitors annually. It is the 5th most visited city in all of Europe, following only London, Paris, Istanbul and Rome. Classified as an Alpha Global City, its international importance is comparable to that of Washington D.C., Seoul and Vienna, and it’s low cost of living makes it a popular choice for expats seeking to relocate to Europe. More than ten major museums, along with numerous theaters, galleries, cinemas, and other historical exhibits can be found while exploring the streets of Prague, and an extensive modern public transportation system is available to help you get around. Prague holds a special place in the hearts of many architectural aficionados, featuring one of the most pristine and varied collections of architecture found in the world, with buildings ranging from Romanesque, Gothic, Renaissance, and Baroque styles, to Rococo, Neo-Renaissance, Neo-Gothic, Art Nouveau, Cubist, Neo-Classical and ultra-modern. Take a stroll through the Old Town and dine in one of Prague’s world known taverns, or stroll through the most expensive street in all of Central Europe, Na příkopě. Enjoy picturesque views from Charles Bridge or spend time marveling at the architecture found at various religious sites and cathedrals. For families traveling together, the city’s zoo is a must-visit, and Prague Castle is a necessary addition to any visitors itinerary. Check out our list of attractions to enjoy after your private jet charter flight to Prague, Czech Republic. Please note that although the Czech Republic became a member of the European Union in 2004, it is not a member of the Euro zone, meaning you’ll have to use the country’s currency, the Koruna, for purchases and expenses. Typically, one Euro should amount to between 25 and 28 Czech Koruna’s. Click here to find out the current exchange rate. Na příkopě, literally translated to “on the moat”, is a wide boulevard running eastward from the bottom of Wenceslas Square, and it’s home to some of the most expensive commercial real estate in central Europe. The avenue is lined with shops and shopping “galleries” (the Černá Růže, Myslbek, and Slovanský dům passages can all be found there), cafés, and a few major banks, including the imposing building of the Czech National Bank. This is the spot where our private jet charter clientele can get the most out of their trip. One of the most popular, pictureqsueq locations in the city, and a beautiful photo-op for our private jet charter clientele. The Old Town of Praha is a great place to wander around, grab a bite to eat, and shop. 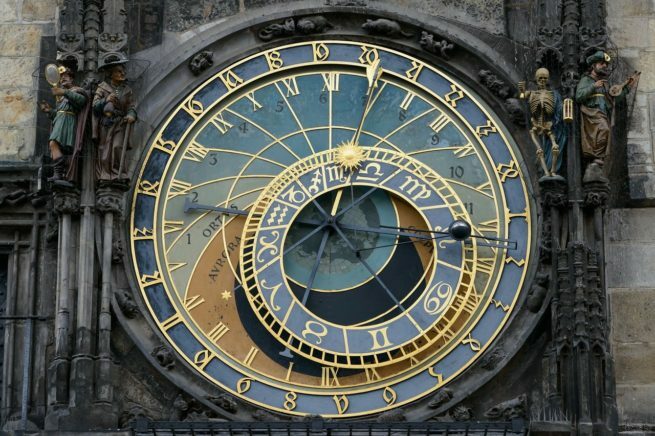 It’s known for it’s astronomical clock, and as the heart of the town. Some of our private jet charter passengers say they get more out of the Lesser Quarter because it’s not as touristy as the rest of the city. It’s a nice place to explore, walk around, or just spend some time. Flying private with the family? Check out one of central Europe’s most interesting zoos after your private charter jet lands. No private charter flight here would be complete without visiting this massive 9th century castle complex, which still serves today as the President’s home. Hire a business jet for an executive charter flight to Prague, the capital city of the Czech Republic. Prague has a reputation as a party city, and rightfully so; Prague’s exploits have been used to draw tourists over the years, and almost one-half of the national income from tourism is spent here. However, during this time the city’s open, progressive attitude towards foreigners and foreign business, combined with its central location, turned it in into a prime spot for business in Europe. Our jet charter team can arrange for your private flight to land at (PRG) Václav Havel Airport, where we can have ground transportation or a helicopter lift awaiting your arrival. After the fall of communism and a new wave of tourism, the city became a focal point in eastern European economics, and in a 2010 survey, Prague was voted as the best city in Central and Eastern Europe (CEE) for business. The city has also been named as a top-tier nexus city for innovation, and it ranked 5th out of 271 European regions in terms of GDP per inhabitant. Domestically, Prague is home to some of the Czech Republic’s most important institutions, including the Government and both houses of Parliament, Ministries and other national offices, the Czech National Bank, the Galileo global navigation project and the Academy of Sciences of the Czech Republic. 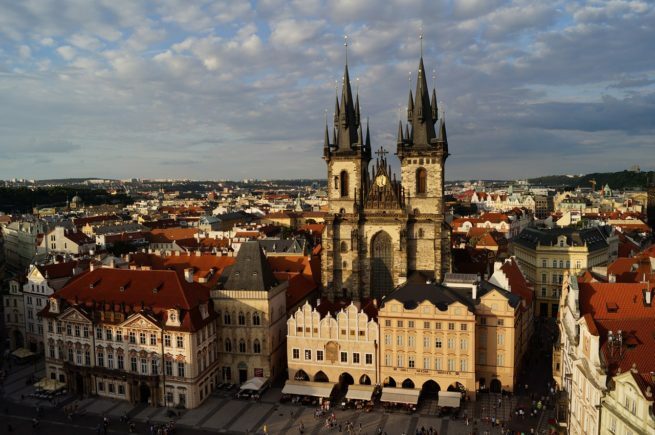 The Czech Republic boasts lenient tax policies, superb living conditions and one of Europe’s best transportation systems, both locally and nationally. Combined with the city’s cultural offerings and rich history, Prague has become a haven for small businesses and start-ups in Europe over the last decade. It’s modern economy is mainly service and export-based, while other industries around the city include pharmaceuticals, printing, food processing, manufacturing and electrical engineering. Prague is home to the headquarters and regional centers for several European companies, and its local economy drives the entire nation, accounting for around 25% of the country’s GDP. It also employs nearly 20% of the entire Czech workforce, and workers in the city enjoy 25% higher wages on average. Located between Warsaw and Vienna, private charter flights leaving Prague can reach an impressive roster of cities within a couple of hours; destinations such as London, Berlin, Madrid, Kiev, Rome, Stockholm and Paris can all be reached in under two hours via private jet. Call or email us to speak with one of our jet charter brokers and review the options for your next private business flight. Prague, the capital and top tourist destination within the Czech Republic, provides a wealth of five-star hotel and resort options for luxury vacations, getaways, business trips and special events. Known as the “City of a Hundred Spires“, Prague is a great destination for anyone looking to experience a European city rich with history and architectural wonders. Whether you’re traveling on a romantic getaway, embarking on historical tours of medieval landmarks or even if you’re just here on business, it’s impossible to avoid the charm of this European gem. The following list of five-star luxury hotels is based on several factors, including Private Jet Charter Prague passenger feedback, location, amenities, and online reviews. Once your private jet arrives in the Czech Republic, our Prague Jet Charter service brokers can also arrange ground transportation to/from the hotel of your choice. 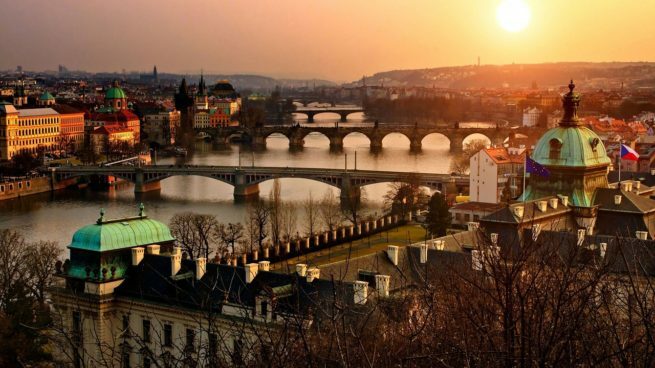 Air Charter Advisors utilizes to following airports to fly clients privately to/from Prague, Czech Republic and surrounding areas of Central Europe.